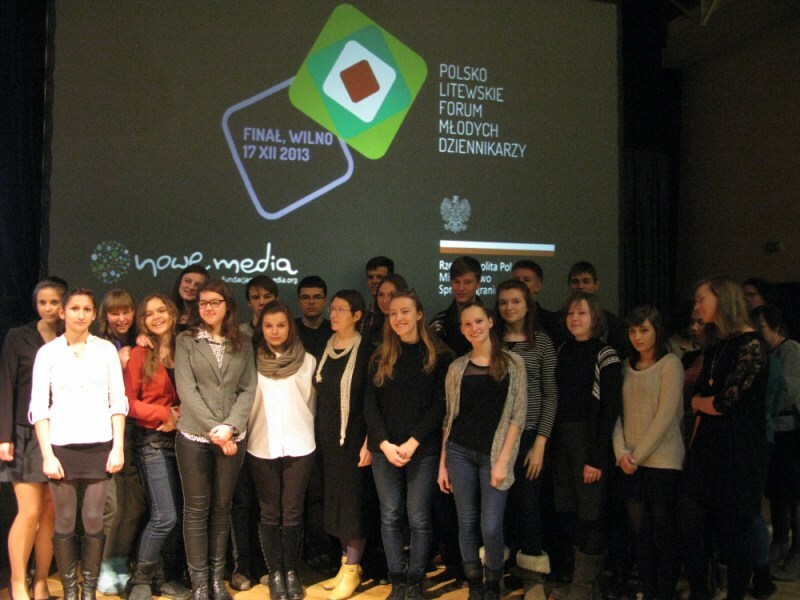 Representatives of the European Foundation of Human Rights (EFHR) took part in the final ceremony of Polish-Lithuanian Forum of Young Journalists, which took place in the House of Polish Culture in Vilnius on Tuesday, December 17. The project participants were mixed teams of students from Lithuanian and Polish schools, who had to prepare together and present to the audience on December 17 a video- documentary on certain topics. In the project participated students from several Polish high schools in Lithuania in cooperation with the Polish high school students. First place took the team from John Paul II high school and the Warsaw High School No. 37 students team. 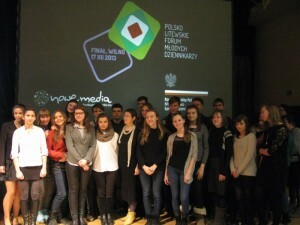 During the final project conclusion was presented also the first edition of the online magazine “Outro Lithuania” , the equivalent of a Polish nationwide youth magazine published in the Internet and modern knowledge database about media available to everyone at www.mam.media.pl. EFHR also carries out more and more projects aimed at school children (educational project “Europeans , Poles, Citizens” , lectures on human rights in schools http://en.efhr.eu/2013/11/13/lectures-on-human-rights-being-continued-at-schools/ , etc.). One of the EFHR objectives is education and the promotion of knowledge in the field of human rights. As part of the development of our organization, we invite young people to work with EFHR on the implementation of educational projects. We also invite you to read about the free Internet library on our website http://www.efhr.eu/2013/08/13/projekt-wolne-lektury-damormowe-ksiazki-i-czytanki-dla-wszystkich/ and to visit the library website on www.wolnelektury.pl.